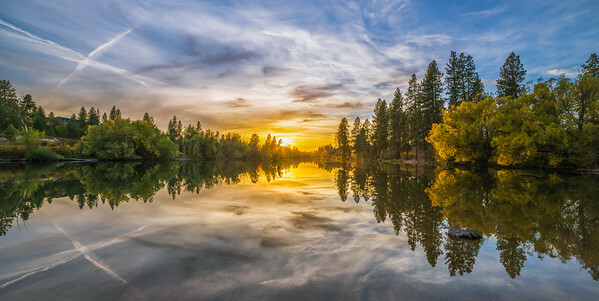 I especially like panoramic images because they mimic the human eye's wide view of a scene. Many are created by stitching multiple wide-angle images together. I usually print them using a 3 to 1 or 2 to 1 aspect ratio. They look especially good on the wall in a home or office. Sunrise from Tolmie Peak featuring Mount Rainierand Eunice Lake in Mount Rainier National Park. The Space Needle was decked out in pink for New Year's Eve festivities as Mount Rainier towers in the distance and. This panorama shows the sequence of a single bald eagle catching a kokanee salmon at Wolf Lodge Bay on Lake Coeur d' Alene in north Idaho. Every winter bald eagles congregate at the bay to feast on the spawning kokanee. If you look closely you can see that you can not only see the eye of the eagle clearly, but the eye of the fish is also visible. In this rare convergence of astro-events, the Aurora Borealis dances in the lower left corner, green waves of Airglow hover to the right side of the picture, and the Milky Way arch rises over it all. Spokane Falls at peak flow. at Manito Park, Nishinomiya Japanese Garden, Spokane, WA. NOTE: Due to restrictions on photography at the Japanese Gardens this photo is available for sale as art and editorial use but not for commercial advertising. A Bald Eagle swoops in and pounces on a spawning kokanee salmon in December on Lake Couer d' Alene in north Idaho. 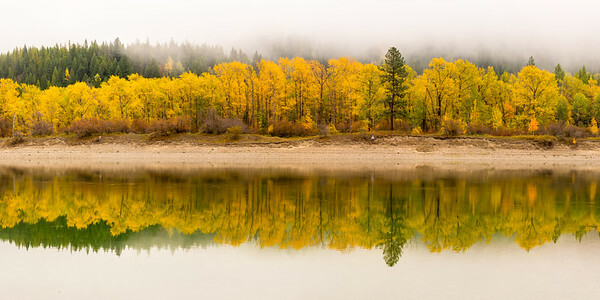 Foggy reflections on the Pend Oreille River in NE Washington State. The glow from the Crand Coulee dam lights up the night skies over Banks Lake at Steamboat Rock State Park in Washington State. 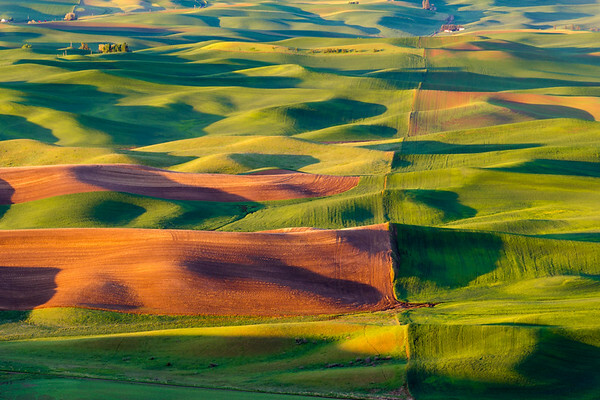 A property line cuts through the rolling hills of the Palouse, as seen from Steptoe Butte State Park in eastern, Washington.